24/7 is winding down. Episode 3 had media day in both camps. Personally I am not too wild about media day but the sports world has to know what is going on. I like how Floyd mentioned that his life was rough growing up but doesn’t let that faze him. 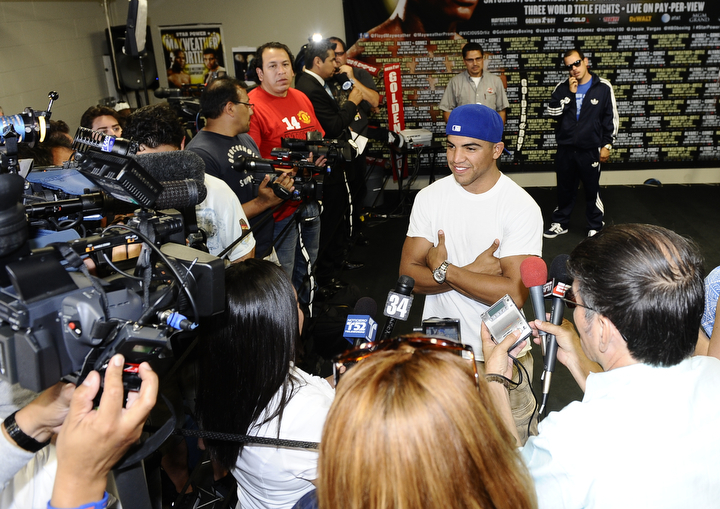 We know that Victor Ortiz has had struggles growing up and Floyd summed his up in a few minutes. Ortiz’ camp studies tape of Mayweather facing Ricky Hatton. The part shown was when Hatton was roughing up Floyd and showed Floyd using his elbow. Danny Garcia mentions that he knows they will beat him. With all this confidence, it would have you seem that Mayweather is the underdog. Living life to the fullest is something Floyd mentioned. He puts himself first. People may call this being selfish but when it comes down to it, this is human nature. Chatting with the troops he did a tour of his home and thanked them for fighting for the USA. The troops all hope to see Floyd victorious.